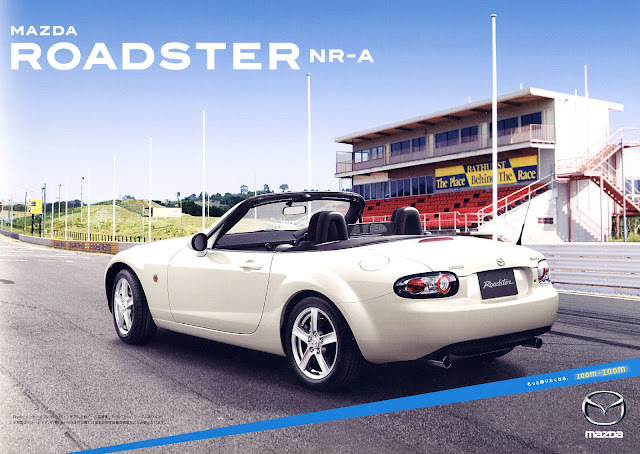 The Japanese market's brochure for the Roadster are quite different to those issued in other regions. 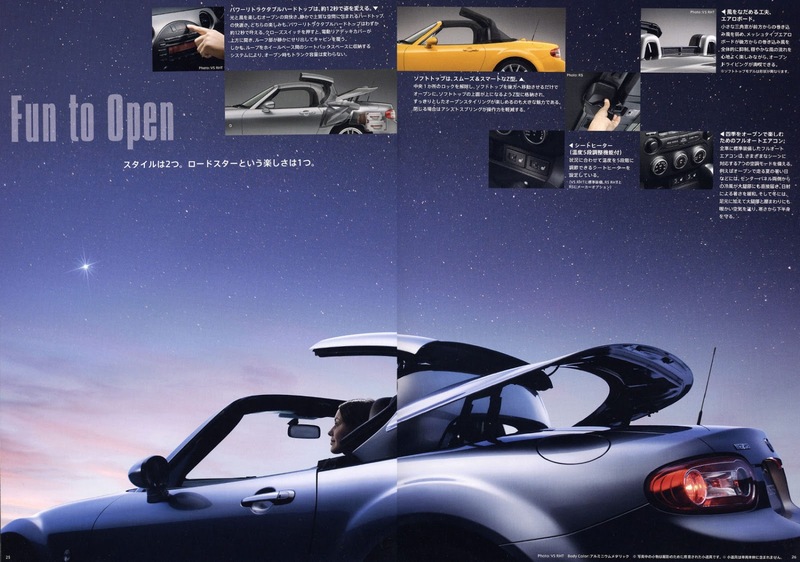 They feature far more interesting photographs and technical details not present in UK versions. Take a look at some of these examples and see for yourself. There is the small problem of them being written in Japanese, but you can get an idea of what is being said through the pictures. This guy is clearly having a great time driving. 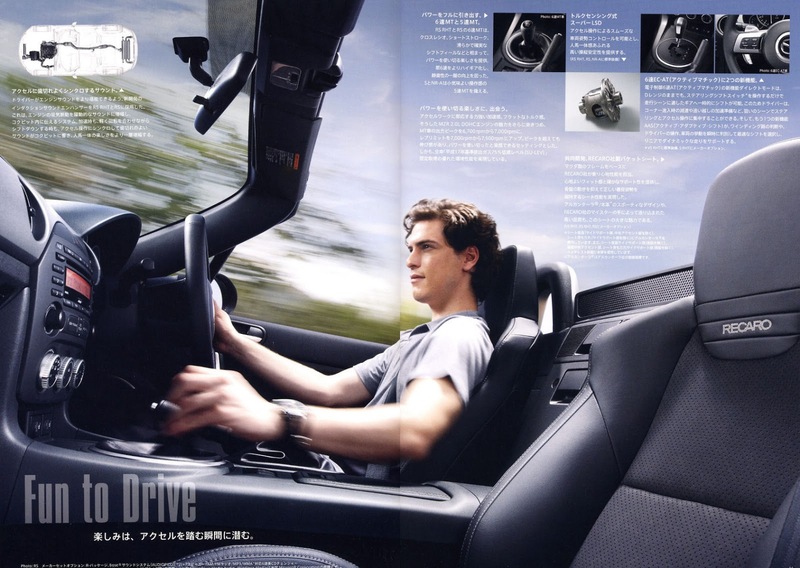 Notice the deluxe Recaro seats? They were an expensive option in Japan. 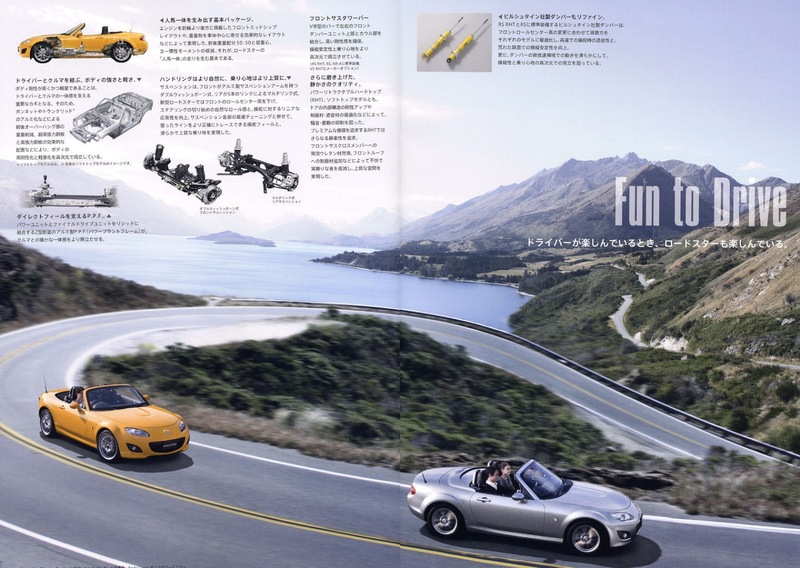 Here's a couple of Roadsters out for a spirited drive on what looks like a fantastic stretch of road. 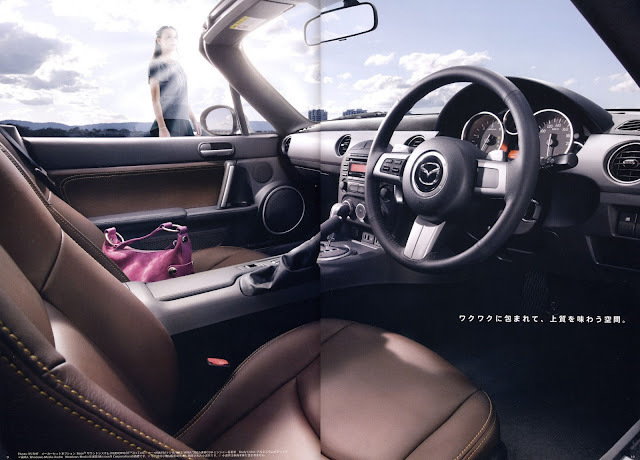 Lovely brown leather seats and door panels in this shot. Not so sure about the optional extra pink handbag though! 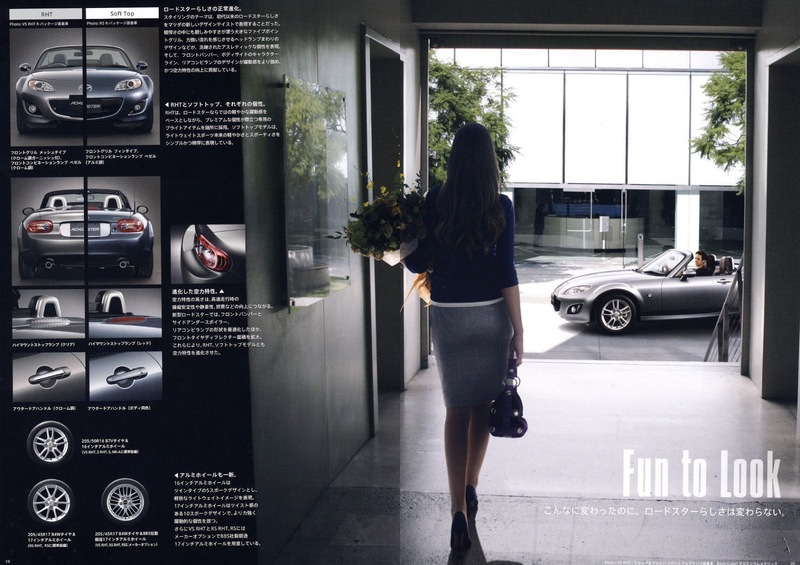 Here's a guy pulling up in his Roadster to meet a brunette with flowers. A starry night, not a cloud in the sky. The perfect time to park up and press the "roof go down" button. Sit on my knee, it'll make a great catalogue photo..